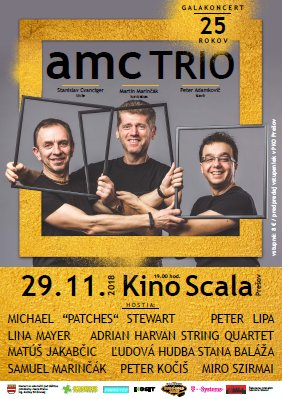 AMC Trio has won a Prize Of Public for the CD Ad Fontes in a competition for the best Slovak jazz CD of 2018 Esprit. Thank you for your support. Enjoy our new video in which we are featuring legendary Slovak singer Peter Lipa. Beautiful music is one of those things that we need without realizing how much we really need it.